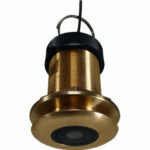 The DropShot 20/20 v90 is designed to be mounted in the bottom of your vessel. The viewing orientation is 90 degree from parallel to the bottom of your boat. Excellent picture and extreme durability. 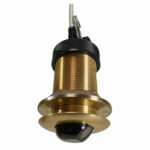 The DropShot 20/20 v45 and v30 are designed to be mounted in the bottom of your vessel. The viewing orientation is 45 or 30 degrees from parallel to the bottom of your boat. Excellent picture and extreme durability.